After a hell-for-leather rush over the 900 barrier it seems that the next slow cycle is here. Material is on pins and in pots but the wheels of identification grind exceeding slow. Fungi especially I can spend a lot of time on without a satisfactory answer. Last night I managed to key out both of the things I attempted, only to discover that I already had recorded one of them. Well, it was an anthomyiid and I felt pretty pleased about it anyway, especially since of 47 couplets in the genus key it keyed out on the 47th! 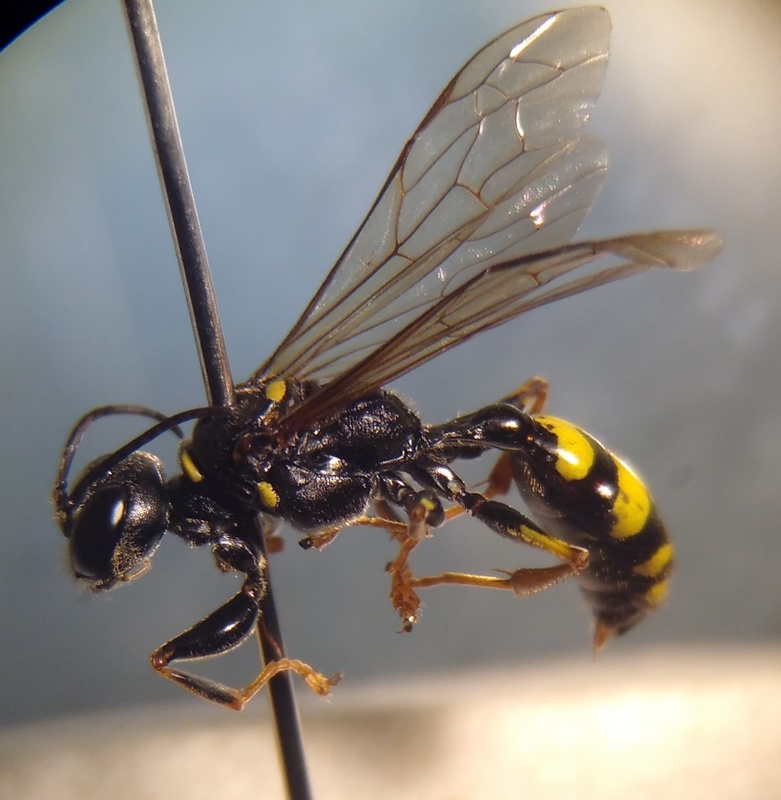 The nice shiny new list addition is the solitary wasp Mellinus arvensis. This is the 4th one I've keyed out in my new solitary wasp book and takes me to 33 for hymenptera - about 23 more than I expected I think. Also since I have a photo here's Hygrocybe acutoconica, which used to be called H.persistens. The latter (former) name was much better because this is one tough Hygrocybe - with a gracile stipe and not discouloring it will hang around for weeks. Actually on birds maybe it's worth noting the first returning Turnstones and first passage Linnets (lunchtime). They aren't new but why not make a note of it. It can't be all about the new stuff, can it?